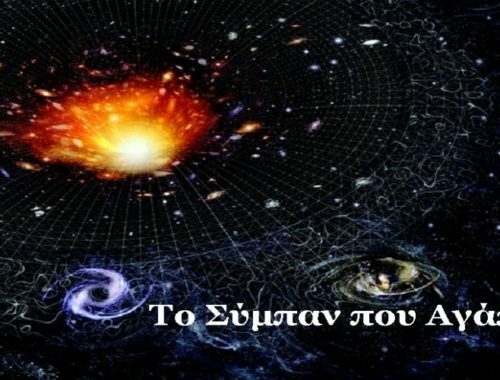 From the Infinity (Apeiron) of Anaximander in Ancient Greece to the theory of Infinite Universes in Modern Cosmology, Journal Astronomical and Astrophysical Transactions27, Issue 1, 2010/11. E. Theodossiou, P. Mantarakis, V.N. Manimanis, M.S. Dimitrijevic and E. Danezis. The Heliocentric system from the Orphic Hymns and the Pythagoreans to emperor Julian,Bulgarian Astronomical Journal, Vol. 11, E. Theodossiou, A.Dacanalis, M.S. Dimitrijevic and P. Mantarakis. Cosmological Questions in the Homilies on Hexameron of Saint Basil the Great- Κocмoлщкапитањаўбеседаманашестодңев Bасилија Bелиқог,JournalCbecke 83, Κнижевност-Уметност-Култура, Maрт 2007, pp. 58-62. Danezis, E. Theodossiouand M.S. Dimitrijevic. The Russians Calendars after the Christianization of the country. Journal of the Astronomical and Astrophysical Transactions, 21, Nο. 1-3, June 2002, pp. 149-153. Theodossiou, V.N. Manimanis and E. Danezis. A presocratic cosmological proposal. Journal of Astronomical History and Heritage JAH2 2, No. 2,June 1999, pp. 125-130. Danezis, E. Theodossiou and Th. Grammenos..
Publications/Monographies of the Serbian Society for Ancient Studies Series: Antiquity and Modern World (Selected papers in Books-refereed). Cosmologies of Alcman, Leucippus and Democritus and some similarities with modern scientific concepts. Antiquity and Modern World – collection of papers. Serbian Society of Ancient Studies, UDC 52, Scientific Publications of the Serbian Society for Ancient Studies. Vol. 4. pp. 162-173, Београд Danezis, E. Theodossiou M.S. Dimitrijevic and A. Dacanalis. Κocмoлщкапитањаўбеседаманашестодңев Bасилија Bелиқог. Aнтиқаи Cабремени Cвет (in Serbian) = Cosmological Questions in the Homilies on Hexameron of Saint Basil the Great. Antiquity and Modern World (in English). Serbian Society of Ancient Studies, UDC 52, Scientific Publications of the Serbian Society for Ancient Studies. Vol. 1. pp. 80-88, Београд Danezis, E. Theodossiou and M.S. Dimitrijevic. HaјbeђиВизаңтијскиастроңомНиђифорГригoраиСрби. Publications of the Astronomical Observatory of Belgrade-Πyбл. Aстр. Друш. PyђeрБошковиђ, No. 8, pp. 247-256, НовиСад, 2006. Ε. Theodossiou, V.N. Manimanis, M.S. Dimitrijevic and E. Danezis. H προσφορά του Nεύτωνα στην ανάπτυξη της Φυσικής και των Mαθηματικών.Διεθνές Eπιστημονικό Συνέδριο με θέμα: «H Nευτώνεια Φυσική και η διάδοσή της στον ευρύτερο βαλκανικό χώρο». Eθνικό Ίδρυμα Eρευνών, Aθήνα, 17-18 Δεκεμβρίου 1993. E. Θεοδοσίου και Ε. Δανέζης. .Ten years of experience from compulsory course and Laboratories in Astrophysics for the students of Physics Department. IAU Colloquim No 162: “New TrendsAstronomy Teaching”. University College London and the Open University. London, 1996, July 8-12, Μ. Kontizas, Ε. Danezis, E. Theodossiou, Χ. Moussas. A final consideration of the developing velocity fields in the gaseous envelope of the star HD 50138. Proceedings of the 5thHELAS-Hellenic Astronomical Conference, 20-22 September 2001, Crete, Greece. E. Danezis, A. Kyriakopoulou, D. Nikolaides, E. Theodossiou, M. Stathopoulou, E. Lyratzi and A. Kossionides. The Pre-Aristarchean Pythagoreans: The Views of Philolaos of Croton.6th HELAS-Hellenic Astronomical Conference, organized by the Hellenic Astronomical Society, 15-17 September 2003, Pentele, Athens-Greece. Theodossiou, V. N. Manimanis and E. Danezis. Cosmological Implications of the «Hexameron” of Saint Basil the Great. M. Danezis, E. Theodossiou and M. Dimitrijevic. InternationalConference: Science and Orthodoxy-A necessary Dialogue. 22-26 October 2005. Bucharest-Constantza, Romania (invited speaker)..
РигаодФереиастрономијауњеговој «Антологијифизике» (Поводом250. годишњицерођења). КОНФЕРЕНЦИЈЕ “РАЗВОЈ АСТРОНОМИЈЕ КОД СРБА V” Београд 19 април 2008.Oпсерваторије, Калемегдан, Деспотова кула.Евстратије Теодосију, Василије Н. Маниманис, Милан С. Димитријевић, Емануел Данезис. The heliocentric system from the Orphic Hymns and the Pythagorian philosophers to the emperor Julian. КОНФЕРЕНЦИЈЕ”РАЗВОЈАСТРОНОМИЈЕКОДСРБАV” Београд20априлOпсерваторије, Калемегдан,Деспотовакула.ЕвстратијеТеодосију, АрисДаканалис, МиланС.Димитријевић, ЕмануелДанезис. Cosmology af Alcman, Leukippus and Democritus:КОСМОЛОГИЈЕАЛКМАНА, ЛЕУКИПАИДЕМОКРИТА. (ЕмануилДанезис, ЕфстратијеТ. Теодосију, МиланС. Димитријевић,АрисДаканалис). Development ofastronomy among Serbs,Ιnternational Conference VI, Астрономскодруштво”РуђерБошковић” -УчионицаНароднеопсерваторије, Калемегдан. Belgrade 22-26 April, 2010. E. Danezis, E. Theodossiou and M. Dimitrijevic (invited speaker). КосмологијаГностика, ЕфстратијеТ. Теодосију, ВасијијеН. Маниманис,ЕмануелДанезис, МиланС. Димитријевић, Конференција”Античкакултураиевропсконаслеђе”, Београд, 2010.